CD104 antibody recognizes integrin beta-4, also known as ITGB4 or GP150. This antibody has been extensively validated for western blotting using whole cell lysates. Mouse anti Human CD104 antibody recognizes the CD104 antigen, also known as integrin beta-4, integrin beta-4 subunit and GP150. Integrins are heterodimers comprised of alpha and beta subunits, that are noncovalently associated transmembrane glycoprotein receptors. Different combinations of alpha and beta polypeptides form complexes that vary in their ligand-binding specificities. Integrins mediate cell-matrix or cell-cell adhesion, and transduced signals that regulate gene expression and cell growth. Encoded by the ITGB4 gene, integrin beta 4 subunit is a receptor for the laminins. This subunit tends to associate with alpha 6 subunit and is likely to play a pivotal role in the biology of invasive carcinoma. Mutations in ITGB4 gene are associated with epidermolysis bullosa with pyloric atresia. Multiple alternatively spliced transcript variants encoding distinct isoforms have been found for ITGB4 (provided by RefSeq, Jul 2008). 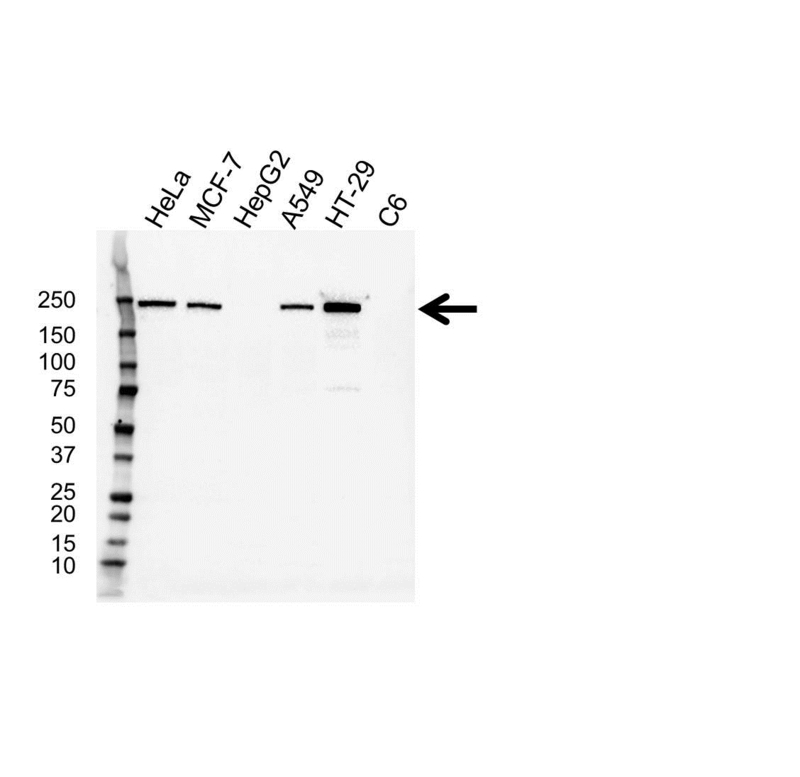 Mouse anti Human CD104 antibody detects a band of 210 kDa. The antibody has been extensively validated for western blotting using whole cell lysates.